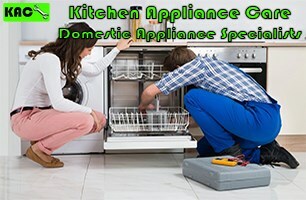 Kitchen Appliance Care LTD - Appliance Services/Repair based in Elsecar, South Yorkshire. A family business that believes in honesty - that’s why we give you our prices upfront with no hidden costs or unexpected charges. All work guaranteed. The secret to our success is customer satisfaction. CALL NOW! With over 30 years’ manufacturer trained experience. Covering Sheffield, Barnsley, Rotherham (**S** Postcodes). If you are in doubt about repairing your appliance due to the cost or if to purchase a new appliance, use our free text back service! Just text your appliance manufacture, model, and the fault. We will text back an estimate cost, then you can decide if to repair or exchange. We are Gas Safe registered to repair and install gas appliances. We accept Debit card payments or Cash. Text Manufacture, Model & Fault For A Free Estimate !